There are so many best cities in Nigeria that are very comfortable for people to live in – based on the road network, serenity, air travel, job prospects, business opportunities, accessibility of power supply, entertainment facilities, hotels, and lodging etc. These are changing currently, but we have 5 best cities in Nigeria that one can live in today. Everybody in Nigeria wants to stay in Abuja. It is situated in the heart of the country, and the control of power for all Nigerians. The architectural masterpiece was purposely planned so that it can compete with the most attractive and other standardized cities in the world. Life in Abuja can be so costly because this is where the noblemen in Nigeria stay. Many firms want to have their headquarter in Abuja and posh hotels are located there. Therefore, housing and feeding are very costly in Abuja. 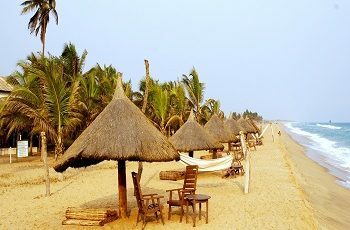 It is well known for best security and also a safe place for visitors because of policemen, soldiers, and lawmakers etc. They have CCTV cameras on every street to fewer crimes. There is an uninterrupted power supply. It was once the capital city of Lagos before it was moved to Abuja in 1991. 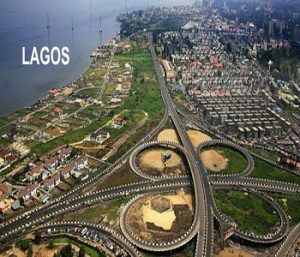 Among the best cities in Nigeria, that still remains the commercial center of the country, in terms of commercialization and industrialization, road network, and job opportunities.Lagos is very rowdy because of the daily hustle and bustle of life. This makes it so tedious for people to stay. Everyone is in a haste because they want to make the money. 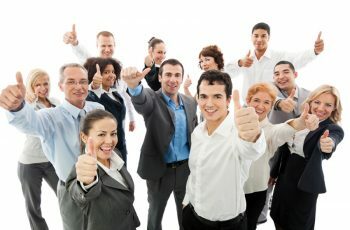 People wake up very early and go to work. Accommodation is very scarce and expensive because of the population. The city has over 20 million people, with thousands of people coming in every day. People even live in huts, under the bridge, and in creeks to earn a living. The Power supply in Lagos is averagely stable and there’s good water supply. The general cost of living is very high averagely. It has an international airport that can travel to anywhere in the world, and there are hotels that can cater for lodging and travel needs. This is an ancient city in Oyo State, and also one of the best cities in Nigeria. Which is regarded as the center of the Yoruba race. The city is much more calm, peaceful and even very dull when it is compared to Lagos. It has all the accessories of an ancient city, but it is the largest city in West Africa. Ibadan is a dull city for business and it is a dead city from the standpoints of those struggling all their lives in Lagos, Abuja, and Port Harcourt.Accommodation is inexpensive in Ibadan, excluding G.R.A. and areas that are well dominated by rich industrialists. Formerly, the road network was so bad but it has greatly improved under the preceding and existing administrations. The power supply is very terrible and this affect business but people make use of their generators. It is one of the best cities in Nigeria that’s very peaceful and the cheapest to live in terms of housing, food, and other basic necessities of life. There is no more any lively airport in Ibadan, but it is very safe and peaceful to live in. There are business opportunities in the city, but it can’t be compared to Lagos or Abuja. Best cities in Nigeria: Benin City This is regarded as the city of peace and hope – the framework of the Bini and Edo peoples. It is known because of its ethnic artifacts and traditional way of life. It is a safe city to live in Nigeria because the crime rates are very low. The people in Edo can be so desperate when it comes to money and business rivalry. The security level is very good in the state and the people have good character.Benin City is very expensive, but they enjoy average power supply and business opportunities are on a high side. There are so many hotels to cater for people accommodation needs. There is very high security in the state from the department of police. Although ritual killings and robberies still occur from time to time in the state. This is located in Ogun State. It is the ancient city of the Egbas, the Ijebus, and others descended from a common ancestry. The Olumo Rock is the main feature of Abeokuta, and the name means “under the stone/rock” to represent how the ancient people in the city hide in rocks during ancient ethnic wars. It is a very old place to live in with lots of attractions that will delight the eyes and mind.Living in Abeokuta is cheap because of adequate houses and food supplies. The road network is averagely good and the power supply is very stable. They have good security and there is very low crime rate in the city, with everyone acting as a vigilante to each other. It is also one of the best cities in Nigeria.